Unlike the GOP debates, when Democrats meet in Des Moines, Iowa, for the second Democratic presidential debate Nov. 14, there will not be a JV round or secondary debate. Why? They barely have enough candidates for varsity. Given the high number of Republicans, the past three debates have featured a separate forum a few hours earlier with second-tier candidates. The four to seven also-rans were chosen based on polling numbers. Those four to seven were in addition to the ten candidates in the main debate. And how many Democrats have there been? The first debate had just five candidates in total. 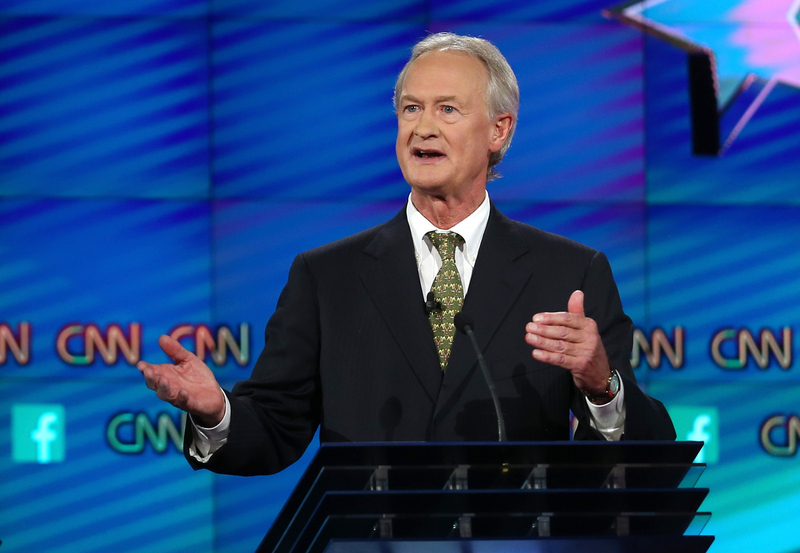 If the Democrats had separated the candidates into two tiers for the first debate, Hillary Clinton and Bernie Sanders probably would have been in a debate alone — just the two of them, nice and cozy — with Lincoln Chafee, Martin O'Malley, and Jim Webb on the bench. Given the big stage at the Wynn, that wasn't necessary. Now that Chafee has dropped out and Webb has decided to run as an independent, it really isn't necessary. Malley most recently polled at two percent, compared to Clinton's 56 percent and Sanders' 31 in the Fox News poll ending Nov. 3. Having Malley debate himself, though, would not only look bad but be impossible — no matter how many push-ups and planks he does in preparation. CBS released its plans for the debate on Wednesday. It's co-hosting the debate with KCCI and The Des Moines Register, an Iowa TV station and the state's biggest newspaper. CBS's Face the Nation anchor John Dickerson will host the debate. CBS News congressional correspondent Nancy Cordes will assist as a panelist alongside KCCI's local anchor Kevin Cooney and The Des Moines Register’s political columnist Kathie Obradovich. The debate will be held at Drake University's Sheslow Auditorium in Des Moines. In addition to the national telecast, CBS News will also live-stream the debate online with Twitter reactions shown on the same screen. Twitter and CBS announced the partnership in October. Twitter will provide CBS with live reactions to the debate and questions from voters engaged in the social media platform while watching. While the second debate is the second official Democratic National Committee-endorsed debate, it's not the second meeting of the candidates. Other groups have organized some unofficial "candidate forums." Candidates will participate Friday in the Rachel Maddow-moderated First In The South Candidates Forum in Rock Hill, South Carolina. MoveOn has also announced it will organize a forum for mid-November.